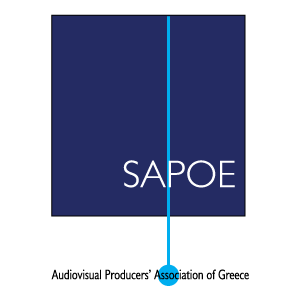 The Audiovisual Producers’ Association of Greece (SAPOE) believes that audiences deserve to know the range of responsibilities of the producers appearing in a film’s credits and who contributed to its implementation. The attribution of credits, whose application is recommended to all producers, has been adopted in national legislation and international practice. The natural or legal person principally engaged in the production of audiovisual works; who has the initiative, financial liability to third parties and has contracts with the creators holding the intellectual rights, and with those related to the financing of the production. Their main activity is defined by the tax law and is based on the national classification of economic activities in accordance with 1100330/1954 / DM / 6.10.2008 decision of the Minister of Economy and Finance (GG 2149 B ‘). The natural person designated as the representative of the production company, who is responsible for the structure of the production and takes all decisions relating to the creative, financial and organizational aspects of the audiovisual work. The natural person designated as the delegate of the co-production company, who is responsible for the creative, financial and organizational issues with direct participation in the decision-making by the production’s representative. The natural person who has a significant contribution to the implementation of the audiovisual production, ensuring the financial contribution of a third party, or a major artistic contribution or the rights of pre-existing literary work which the audiovisual work is based on. The natural person who is principally engaged in the production of audiovisual works, or performs dependent work and is responsible for the implementation of the production’s structure, from preparation to completion. They monitor the implementation of the production’s budgeted costs, take care of the requirements of the artistic demands, negotiate agreements, and coordinate the heads of departments of the audiovisual project. They are the person to whom all the production departments answer to, while they are controlled by and commanded by the Representative Producer. The natural person engaged, or not engaged, in audiovisual production, whom the Representative Producer assigns important tasks to, in order to facilitate the implementation of the production. The natural or legal person who invests funds in the production. Title: With the financial support of ……….. Or Funded by …………… .